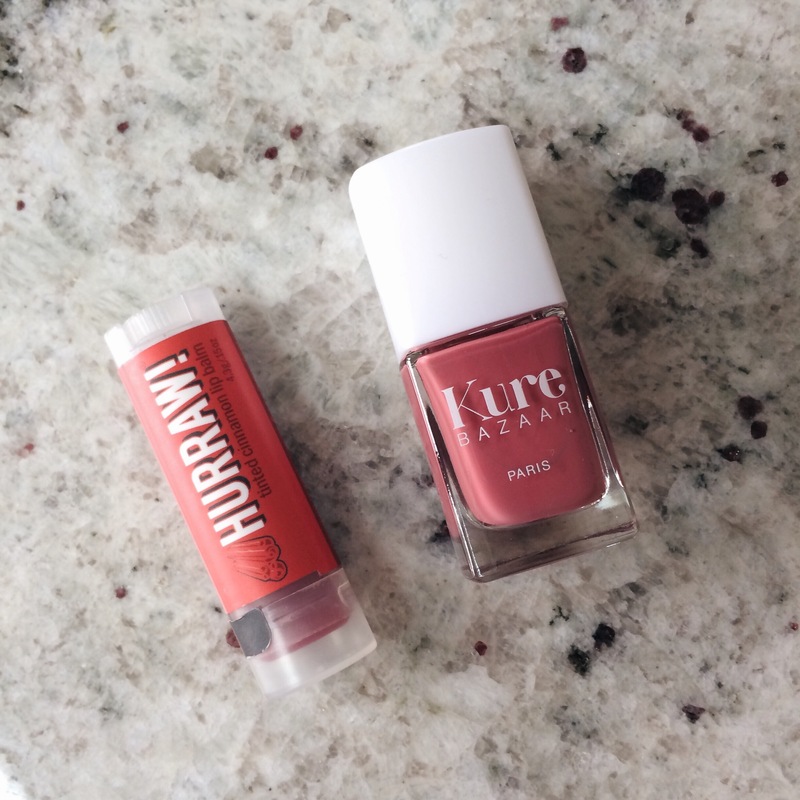 Kure Bazaar are focused on their good nail philosophy: providing nail polish that is natural but effective for smooth, strong and healthy nails with a pop of colour. Kartika Luyet, a retired Brazilian model, started on a journey to more natural beauty when pregnant with her son. She found that there were very limited options when searching for natural nail products. With a friend in the cosmetic industry, she decided to work to formulate a naturally-based nail polish to fill this gap. They wanted to ban the 4 most harmful ingredients typically found in nail polish (ormaldehyde, toulene, phthalates and synthetic camphor) from all of their products. Finding a formula with a “4 free guarantee”, that was also resistant, fast-drying and a good shine was challenging, but after 3 years of research they cracked it! Each polish is made of up to 85% natural ingredients; mainly wood pulp, wheat, cotton, potatoes and corn. I’m not usually a big fan of nail varnish. For some reason, no matter how careful I am, it always cracks after a day or two and just looks terrible! However… I fell in love with the dusky rose colour of “So Vintage” (pictured) and just had to try it out. I applied two coats (hoping this would double my chances of it staying on) and my nails stayed perfectly polished for 4 days – a record in my book!! The bottle is very elegant and the there is a stopper on top to help you avoid any spillages. It’s a winner for me and I’ll definitely continue my non-toxic manicures with Kure Bazaar. Next, I want to try out one of their natural nail polish removers! What do you think? Have you tried Kure Bazaar? What are your favourite non-toxic nail products? Let me know by commenting!